ADK LR-12578 latest Multicolor set of 5 For Men and Boys Watch - For Men..
SPINOZA K-1119N54 latest Digital Watch For Kids Watch - For Boys & Girls..
Rich Club SKRC-SET OF TO WATCH JEANS&BROWN Watch For Men.. Gesture 3496k-Set Of Two Combo Watch For Men..
SPINOZA S2031P05 boys Watch - For Men..
Briota FLX-261 girls watches white dial Watch - For Girls.. Youth Club RED-LC NEW ARRIVAL REDISH L-2017 Watch - For Girls..
SPINOZA multicolor kids digital Watch For Boys & Girls..
Abrexo Abx-7008 Gents Modish Superior Combo Watch - For Men.. KNACK Watch - For Men..
RS-270 Blue Day and Date Functioning Watch - For Menworth Rs. 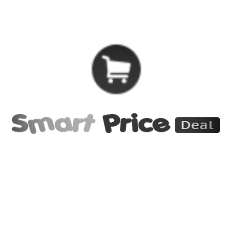 999..
SPINOZA Army stylish and attractive..
Upto80%Off+Extra5%Off Upto 89% off discount sale..
Swadesi Stuff Black Coated - For Women..
LOREM LK-1-2-5-7-8 Multicolor Designer pack of 5 Watch - For Men..
Upto 70%+Extra5%Off Upto 89% off discount sale..
Foxter FX-460-461-463 New Exclusive Multi Color Dial Combo of 3 Watch - For Men..
IIK Collection Black Luxury A555 Watch - For Men..